Tips on Using Basalt Massage Stones for relaxation and natural stress relief! Your hot stone massage set should provide enough stones for a full body hot stone massage therapy session, always including large, medium, and small stones. Stones are the most important part of a hot stone therapy treatment. When choosing massage stones, understand that the best stones for massage therapy are not ‘shaped’ stones, but natural stones. Shaped massage stones are great for specific treatments like trigger point therapy, or deep tissue of massage therapy, but usually are not used in a relaxing hot stone massage treatment. Finding just the right size and shape of basalt massage stones to do the work is important. The correct texture and density of the stone is very important in maintaining the temperature needed to do a stone therapy. An instructional hot stone massage DVD is a "must-have" for anyone who wants to provide a deeply relaxing stone massage session for their clients. This DVD provides instruction on not just giving a full body massage, but caring for the stones, using a stone heater, and ensuring the highest safety. It is essential to find a stone supplier that offers naturally tumbled stone that is consistent in size and shape. This ensures the massage stones will indeed hold the heat needed in order to effectively perform a treatment. They will also feel great in the hands of the massage therapist and on the body of client. and that the set isn’t just a collection of round stones, but an on purpose configuration of useful shapes and sizes. After many reviews of massage stones, this set was picked #1 because it contains the highest quality basalt massage stones available for hot stone massage therapy. It includes both regular working stones and shaped massage stones. Our #1 Favorite Set "The Ultimate"
This 40-peice set of basalt massage stones is truly a perfectly complete set. It has every stone a massage therapist would need to treat the entire body. It includes large, heavy belly / sacral stones as well as those specialty tools for hard to work areas. Created to meet the needs of therapists giving a full body massage stone treatment. The benefits of hot stone massage therapy, include increased circulation, reduced pain/inflammation and deep relaxation. When you learn hot stone massage therapy, also learn about it's benefits to share with your clients. Read more about the benefits of cold stone massage for those with inflammation and swelling, as well as how to use cold stones effectively. Using hot and cold massage stones together can definitely enhance your practice by allowing you to provide detailed care to your clients, while making your work much easier. Read more about the deep tissue with massage stones and learn how to use carved massage stones in a deep tissue work, making the session easier on you and your client. Get to know your stones. Understand that you won't get it perfect the first time, so you prepare your set for the next. Use natural basalt stones. Polished stones are very slippery, and can fall out of your hands easily, seriously hurting the client. Cool stone facial massage is also popular in spas and private practices to help the client relax and to provide relief from headaches, puffiness, and facial swelling. 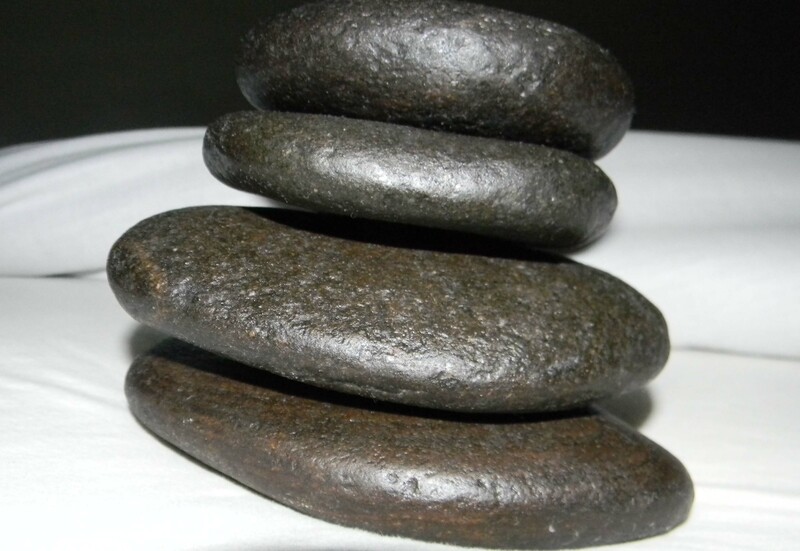 Whether you are choosing massage stones for a spa, a private practice office, or for your personal use at home, basalt massage stones are the best stones for deep, true relaxation.